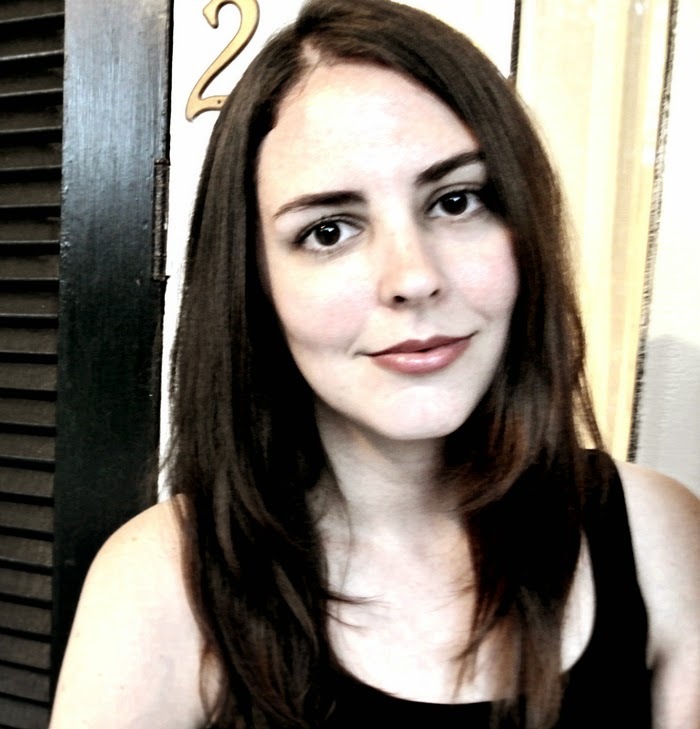 For this week's Ask the Author I have a very special and awesome one for you. 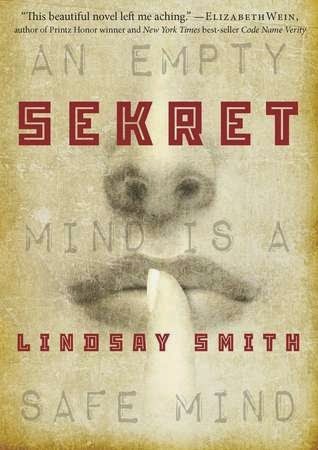 A few weeks ago I had the chance of asking the brilliant Lindsay Smith a couple of questions about her YA historical fiction novel set in the Soviet Union back in the 60's with a touch of paranormal powers. Now if that doesn't sound awesome, I don't know what does. Russia's powerful spy agency, the KGB, is recruiting young people with mind-reading capabilities for their psychic espionage program. Their mission: protect the Soviet space program from American CIA spies. Why shouldn't the KGB use any means necessary to make the young psychic cooperate? Anything to beat the American capitalist scum to the moon. Yulia is a survivor. She won't be controlled by the KGB, who want to harness her abilities for the State with no regard for her own hopes and dreams. She won't let handsome Sergei plan her life as a member of elite Soviet society, or allow brooding Valentin to consume her with his dangerous mind and even more dangerous ideas. And she certainly won't become the next victim of the powerful American spy who can scrub a brain raw—and seems to be targeting Yulia. 1 - Describe Sekret in form of a Twitter pitch - 140 Characters. Psychic teens in the Soviet Union are forced to use their powers to spy for the KGB. 2 - How long did it take you from first idea until publishing deal? And how many queries did it take until you found 'the one'? I’ve been writing in some fashion for most of my life, but I did get an agent with the first novel I ever seriously and studiously set about revising and querying (though it ultimately didn’t sell). Sekret was the book I wrote to take my mind off of being on submission with the other project! 3 - Why and how did you decide that you wanted to write a YA novel set in the 1960's in the Soviet Union? I studied Russian history, language, and culture in school, and I’d always wanted to write something set in the Soviet Union—such an important time period, but also one I haven’t seen represented much in historical fiction. I chose the 1960s specifically because I feel like it was the point when the Cold War tensions were highest, and the US and USSR were on roughly equal footing—the space race and arms race were on, the Cuban Missile Crisis had just occurred, and the cultural fascination with spy culture and international intrigue was at a peak. 4 - Did you have a personal motivation behind writing a story set in this part of history and the Soviet Union or was it out of pure interest in the time and place itself? While Russia’s history has always interested me personally, in the years since I first started writing Sekret, it has become increasingly apparent to me how important it still is for people to understand the dangers of pitting two powerful nations in an uneasy truce like we saw in the Cold War. It’s important, too, to understand the ongoing issue of historical erasure that Russians face even today—Stalin’s legacy of genocide, political repression, and toxic conformity was scarcely acknowledged in public in the post-Communist years before it began to be rewritten once again. I’d like to think the average Russian’s life is much better now than it was in Yulia’s time, and in many ways, that’s true, but not in some crucial ways, I think. 5 – How much research did you have to do in order to be able to write Sekret? I was able to draw quite a bit from textbooks, essay collections, and accounts I’d read in college and graduate school, but I did seek out a lot more biographies, like those of former KGB leaders and of 1960s-era cosmonauts to give me a deeper understanding of the era. Another thing I found really useful was immersing myself in the literature, music, and film of the era—old Soviet radio dramas and state-sanctioned poetry and the like. It really made the setting come to life for me, and gave me a deeper understanding of the Soviet mindset. 6 - Would you like to have the mind reading abilities which Yulia or any of the other characters have? I don’t think I’d like to be a mind-reader! It would probably be unsettling to hear the thoughts of everyone around me. I especially wouldn’t want the ability to change someone’s thoughts, like the scrubbers—all sorts of squicky ethical issues with that. Remote viewing could be really cool, though. I could peek in on a concert in Paris, or “climb” Mount Everest, or experience the beauty of New Zealand’s mountains without leaving the comfort of my couch. 7 - Do you think people with paranormal abilities, like mind reading, really exist? I’m highly skeptical of it, but I think anything is possible. I’ve always been interested in neuroscience, and we are rapidly approaching the point where computers can translate brainwaves into words and images that can essentially depict someone’s thoughts. (Article here: http://www.dailymail.co.uk/sciencetech/article-2095214/As-scientists-discover-translate-brainwaves-words--Could-machine-read-innermost-thoughts.html) While I think the applications to aid those with degenerative or speech disorders are wonderful, I do worry for the privacy implications. 8 - What sparked your love for Russia and its culture? I grew up in the ‘80s, and my first real memory of world events is of the Berlin Wall coming down. I was fascinated by the idea of this whole country and culture suddenly opening up to us here in the West, especially one that my parents’ generation had always known as the “enemy,” and I thought it was so cool that we now had a chance to build these bridges. As I got older, I fell in love with the style of Russian literature and music, the grace and logical structure of the Russian language, and the fascinating shape of Russian history. 9 - From all the places you visited in Russia, which one was your favorite and which one left the biggest impression on you? I loved pretty much all of Moscow—Saint Petersburg is beautiful, but in a very European way; Moscow to me carries more of the true Russian history both in what it’s kept and what it’s lost. 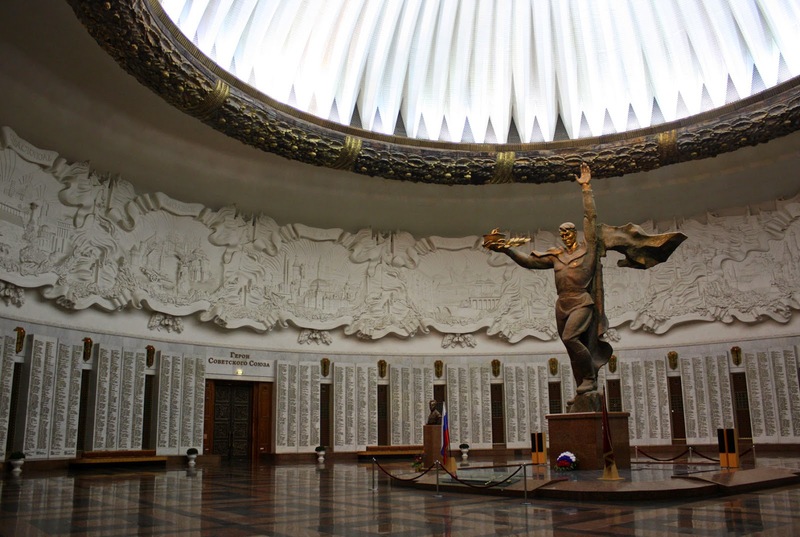 The Great Patriotic War (World War II) Memorial Museum in Moscow still affects me to this day. Russia lost so many in the war, and the museum memorializes those losses in a very poignant way, but it’s also interesting to see the careful way the history was presented, and to view that from an outsider’s perspective. Also, the architecture in the museum is so incredible—I especially love this massive statue and atrium at the front of the museum. 10 - Heels or flats? Heels—but low-ish ones J I’m also one of those people who keeps, like, three pairs of shoes on me at all times. Sneakers, ballet flats, and heels. A by-product of living in the city and using public transportation! 11 - If you were forced to participate in The Hunger Games, as female from District 12, what would be your strategy? Fight or flight? Definitely start with the flight—hang back, get the lay of the land, observe the other competitors. Let the overeager ones kill each other off and even the odds for me. Then, once everyone’s good and worn out, it’s time to go on the offensive.